We revisited this sweet classic to make it better than ever. 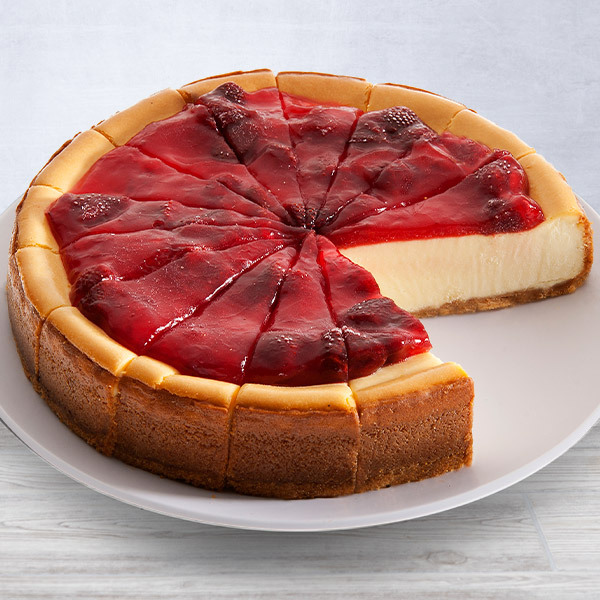 Our NY Strawberry Cheesecake is baked on a sweet graham cracker crust and crowned with fresh, juicy strawberries. 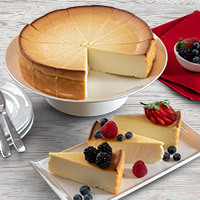 All my family and friends love it! I Wii do it again! Birthday gift everyone loved the cake! Thrilled shipping on time. Will shop here again. I bought it for my gf and she loved it! I'm super happy about it . 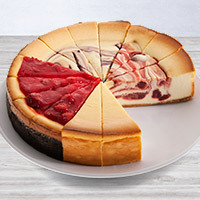 My wife loves the New York Style Strawberry Cheesecake from GourmetGiftBaskets. My daughter sent this to me at work for my birthday. It was delicious! Packed in Styrofoam with dry ice, it was still frozen. No need to worry about refrigeration. I managed to pry apart some slices, and individually it didn't take long to thaw. I sent this to my son in college for his birthday, he said it was "awesome"! its for my Daughter..it looks Delicious!